Hormones like testosterone and estrogen are essential to fertility and the entire process of pregnancy — in fact, testosterone directly affects sperm count. If your testosterone levels are low, it can be difficult to know what to do, but the answer is natural lifestyle changes — not testosterone supplements. These changes might include exercising more, fixing your sleep pattern, or even just relaxing, but probably one of the easiest way to increase testosterone naturally is supplementing your diet with testosterone-friendly food items. So, here are some foods that boost testosterone and can be easily incorporated into most meals. 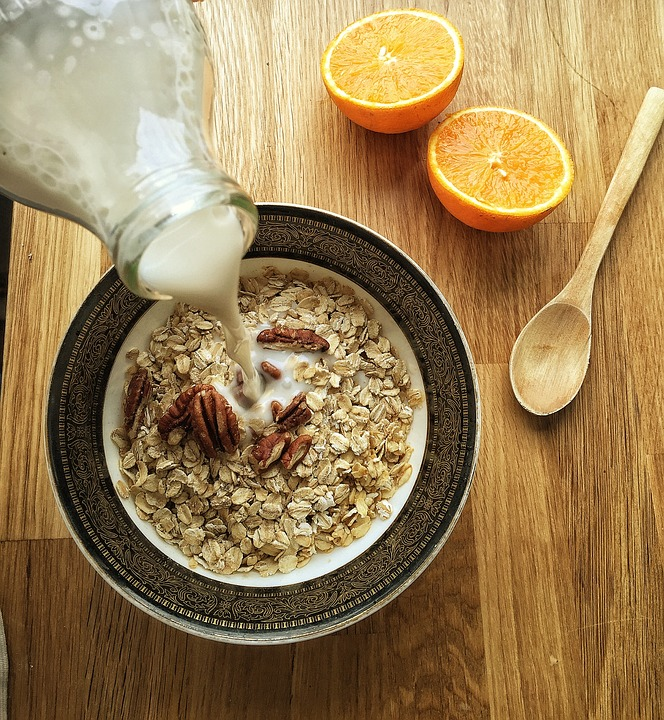 Plant-based milk can be used as seen here: in a bowl of oatmeal with walnuts — which also turn out to be a testosterone-boosting food! Even as someone who is able to drink milk, I will often pick up almond milk instead just because I find that it tastes better. And almond milk isn’t the only option: many stores carry soy, hemp, and flax milk as well. It has been suggested that Vitamin D can contribute to testosterone, though still in question, and these milks often include a high amount of it, up to 25 percent of daily value per serving. To be sure that the milk will contribute to your Vitamin D, always check the nutrition facts on the label. My favorite way to use my almond milk is simply in my cereal in the morning, but it -- or any of these non-dairy milks -- can also be used as the base for delicious smoothies. Plus, basically any recipe using cow’s milk can be modified to use plant milk instead. Oysters have long been thought to be an aphrodisiac, and that myth may turn out to have some amount of truth to it. Not only oysters but also crabs, shrimp, scallops, and octopus can help increase testosterone production. The high levels of zinc contained in these foods is essential to a healthy diet but has also been shown to take on a role in controlling testosterone levels. Oysters are the champions of this category, carrying the highest zinc content, but most shellfish contain zinc, as well as other food groups such as poultry, red meat, beans, nuts, and whole grains. The recommended dose for adult men is 11 mg per day, and for adult women, 8 mg per day. Pregnant women are advised to consume a bit more, at 11 mg per day. If you want to up your zinc intake, this butter and herb baked oyster recipe may help, or perhaps these quick and easy crab cakes. Although your cooking may not look so beautiful, don’t be intimidated by fish — they can actually be quite easy to cook. 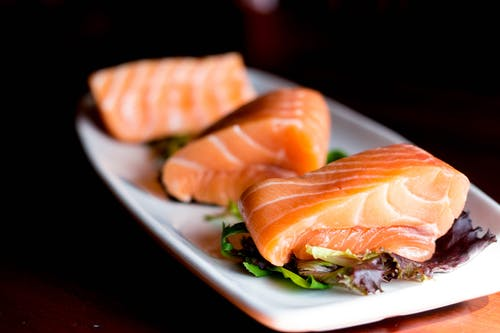 Speaking of seafood, fatty fishes -- such as salmon, sardines, rainbow trout, and tuna -- may contribute to increasing sperm count in humans, as studies have shown that they do so in dogs and mice. The magic ingredient that makes this possible is a fatty acid called omega 3, which is a key part of the sperm. Omega 3 is also contained in fish oil pills and omega 3 supplements. If you’re on a plant-based diet, plant alternatives containing omega 3 include flax, chia seeds, walnuts, fresh basil, and dark-colored leafy greens like spinach. Though it may be tempting to just take a supplement and be done with it, it is always better to vary your diet as much as possible to avoid possible side effects, like diarrhea or acid reflux, that can go along with very high doses of omega 3. Cooking fish may seem intimidating, but it can be made quite simple -- this salmon recipe can be done by practically anyone with an oven, and this tuna melt recipe provides instructions for one of my personal favorite sandwiches. Yum! This gem of a fruit is beautiful, delicious, and works to boost your testosterone. What’s not to love! Even though they are one of the most inconvenient fruits to prepare, pomegranates can be well worth the work. 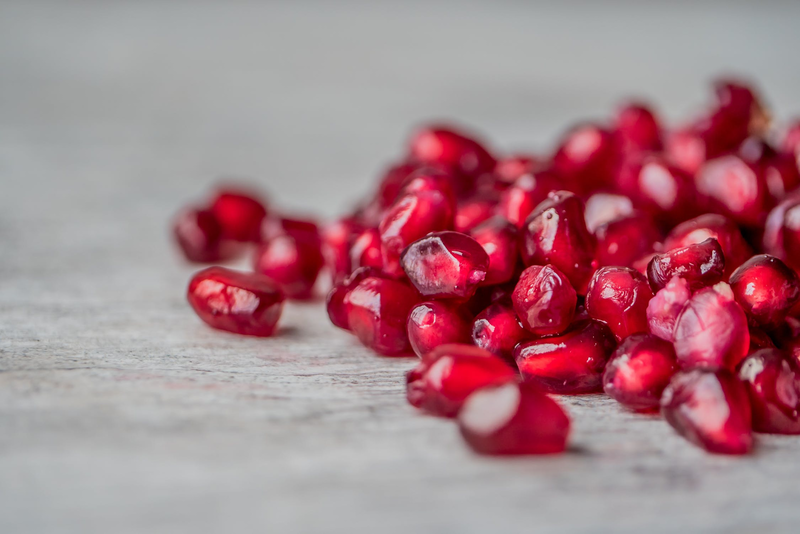 A 2012 study showed a marked increase (24 percent) in salivary testosterone in both men and women after 2 weeks of consuming pomegranate juice. But that’s not the only benefit of this beautiful fruit -- the same study saw a decrease in blood pressure as well as general stress and anxiety. So, while you’re upping your testosterone, you’re also improving your mood! The obvious way to incorporate pomegranate into your diet is simply to eat the fruit or drink prepackaged -- or even fresh -- juice, but everything is better with chocolate! One of the most widely used spices throughout the world, this root’s versatility should make it easy to include in your diet. In fact, ginger was specifically shown to help out men having problems with fertility in a 2012 study, in which the men saw a 17.7 percent increase in testosterone levels over a three-month period of taking a daily ginger supplement. The ginger also positively affecting sperm count, motility, and viability, increasing them by 16.2 percent, 47.3 percent, and 40.7 percent, respectively. There are tons upon tons of recipes including ginger out there, so even if you’re a picky eater, it’s likely that you can still find some gingery food to enjoy. Even though it can be a bummer to be low on testosterone, these foods provide a natural and relatively easy solution. Hopefully, the addition of testosterone-boosting food to your diet as well as other healthy lifestyle changes should be enough to tip the balance in your favor!